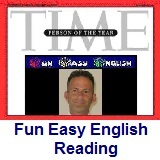 ﻿ Fun Easy English - reading practice and learning about the holiday Tu BShevat. Tu Bishvat (Hebrew: טו בשבט‎) is a minor Jewish holiday, occurring on the 15th day of the Hebrew month of Shevat (in 2013, Tu Bishvat started from sunset on 25 January and finished at nightfall on 26 January). It is also called "Rosh HaShanah La'Ilanot" (Hebrew: ראש השנה לאילנות‎), literally "New Year of the Trees." In contemporary Israel the day is celebrated as an ecological awareness day and trees are planted in celebration. The name Tu Bishvat is derived from the Hebrew date of the holiday, which occurs on the fifteenth day of Shevat. "Tu" stands for the Hebrew letters Tet and Vav, which together have the numerical value of 9 and 6, adding up to 15. Tu Bishvat is a relatively recent name; the date was originally called "Ḥamisha Asar BiShvat" (חמשה-עשר בשבט), which also means "Fifteenth of Shevat". Tu Bishvat appears in the Mishnah in Tractate Rosh Hashanah as one of the four new years in the Jewish calendar. The discussion of when the New Year occurs was a source of debate among the rabbis: "And there are four new year dates: - The first of Nisan - new year for kings and festivals - The first of Elul - new year for animal tithes. Rabbi Elazar and Rabbi Shimon say: the first of Tishrei. - The first of Tishrei- new year for calculation of the calendar, sabbatical years and jubilees, for planting and sowing - The first of Shevat, according to the school of Shamai; The school of Hillel say: the fifteenth of Shevat". The rabbis of the Talmud ruled in favor of Hillel on this issue. Thus the 15th of Shevat became the date for calculating the beginning of the agricultural cycle for the purpose of biblical tithes. This holiday is actually not as well known as some of the other Jewish holidays. This is kind of like an environmental day for Jews. Read the holiday information above. In the test questions below choose which is the best answer for each question. There are 5 questions. Good luck. 1. When is Tu Bishvat? 2. In contemporary Israel Tu Bishvat is celebrated as which of the following? 3. In contemporary Israel which of the following is done on Tu Bishvat? 4. The name Tu Bishvat is derived from which of the following? 5. Tu Bishvat is which of the following?